Gypsy, Roma, Traveller History Month (GRT HM) was an initiative of the Traveller Education Support Services in the UK, first launched in the year 2000, in schools in and around London. In response to the continuing celebration of Black History Month (October), Women’s History Month (March), and a regular multi-faith, cultural programme in schools and children’s centres that celebrated various annual events, such as Diwali, the Hindu festival of lights celebrated in autumn (7th November 2018), the Muslim festival of Eid al-Fitr (15th to 17th June 2018), the festival at the end of Ramazan, Hanukkah, the Jewish festival of lights (2nd December to 10th December 2018), Kwanzaa, the pan-African festival of light (26th December to 2nd January, each year), TESS teachers wanted to acknowledge the contribution of Romani and Traveller cultures to wider European society, acknowledge the experiences of Romani and Traveller communities, and celebrate aspects of those cultures with various activities that positively ‘showcased’ Romani and Traveller people, for children and their families. Gypsy, Roma, Traveller History Month encouraged teachers, pre-schools, schools and children’s centres to explore and investigate Romani and Traveller cultures in positive and surprising ways, discovering just how different the reality of their lives were, compared to the ‘fantasy’ of popular media stereotypes and myths. Gypsy, Roma, Traveller History Month also gave Romani and Traveller children a chance to be those most visible in the kindergarten or school, the ones with the knowledge about the topic, the ones who could share this knowledge with the non-Romani children and teachers. Individual stories and histories of families or groups, put Romani children and their communities at the forefront of the activities with positive role models from the past and present, encouraging Traveller parents to get involved in pre-schools and schools to share and support the topic and activities. This month is Gypsy, Roma, Traveller History Month; as practitioners and early years pedagogues it is an opportunity to celebrate diversity, build stronger relationships with Romani and Traveller families and recognise the rich cultural heritage of Romani and Traveller people in wider European societies. GRT HM is intended to be celebrated by all children, regardless of their origins and ethnicity and is an opportunity to highlight the Romani and Traveller communities. Stories, story-telling, games, songs, mask-making, drama, imaginative play, drawing and painting using Romani and Traveller motifs and icons, such as horse-shoes, waggons (the Romani word is vardo), wheels, birds, dogs (jukkel is Romani for ‘dog’), woven baskets, kerchiefs, bandanas, pegs, camp-fires and horses (or whatever motifs are common in the Romani community you work with). Decorating paper-plates with floral motifs, or printing materials with foam shapes of flowers are two more activities that can be done with younger children, whilst making crepe paper flowers with older children, is another. Find out what the crafts made by your Romani and Traveller community are or were in the past, collect stories from older Romani and Traveller people and make books, with the children illustrating them, get grand-parents and parents to come to the pre-school or school and share their memories of the past or stories they were told when they were children. Stories and story-telling have long been associated with Romani people and, according to scholars such as Francis Hindes Groome (1851-1902), Romani people brought many of the stories we know as ‘fairy stories’ to Europe from India (‘Gypsy Folk Tales’, 1899), such as ‘Cinderella’, ‘Snow White’ and ‘Sleeping Beauty’. Modern Romani and Traveller writers, such as Richard O’Neill, have written their own stories that can be used as the basis for preschool and classroom activities. I have developed a lesson plan for use with the story-book, “Ossiri and the Balamengro” by Richard O’Neill, Katherine Quarmby and illustrated by Hannah Tolson (see the resources page of Romani Cultural & Arts Company). This story and many others have Romani characters, and Romani language and themes, that can be shared with the whole group of children to introduce elements of culture and traditions. O’Neill’s “Yokki and the Parno Gry” brings themes of loss of ‘stopping places’ for Travellers, insecurity of work in ‘bad times’, difficulties in changing traditional crafts and trades, but also hope and the importance of family and kinship. Other story-books feature real Romani and Traveller children and people, such as “Tom”, or “Where’s Mouse?” These simple stories are designed to improve language and spelling, strengthen reading skills and build ing vocabulary in younger readers. Both Romani and other children can identify with the central character, who, in this story about a Traveller boy called Dylan, has lost his dog called “Mouse”. Other books for young children and early readers feature Romani and Traveller history, such as ‘Moving Pasts’, ‘How Rabbits Arrived in England’ and ‘Uncle Walter’. 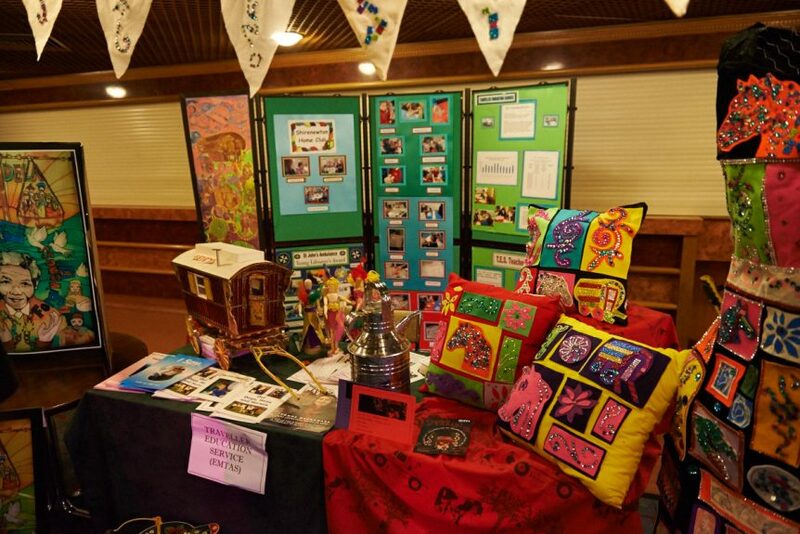 All these learning materials have been produced by and with Romani and Traveller people, so they represent the views, experiences and stories of the communities themselves, celebrating Romani and Traveller cultures and communities. The opportunity to introduce elements of language, such as the Romani and Traveller words in the Richard O’Neill stories, can bring an awareness of Romani and Traveller cultures to non-Romani parents and teachers who don’t know that these languages exist, that Romani and Traveller people have a long and complex history and that Romani and Traveller identities are older than many modern European identities; for example, Romani people arrived in Byzantium in the 11th century, well before modern English, Swedish or German identities are formed. The Romani language is Indian in origin, Middle Indo-Aryan to be precise and older than English, Hungarian and Dutch.